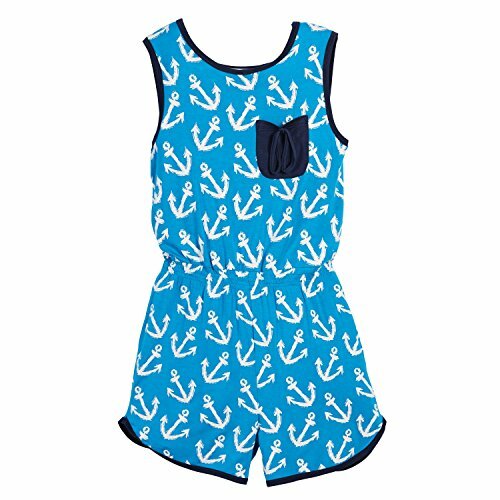 Girls romper has a brush stroke anchor pattern and is made from 93% rayon and 7% spandex. It comes in sizes small, medium, large, and extra large. It is available in colors red/white, navy/white, and blue/white. If you have any questions about this product by Beachcombers, contact us by completing and submitting the form below. If you are looking for a specif part number, please include it with your message.